How does Chrome OS fare against the Linux netbook leader? Although Chrome OS is based on Ubuntu, Google has no intention right now of targeting the mass market. Instead, Chrome OS will be certified to run on specific hardware, which at the very least will need either an x86 or ARM CPU and a solid-state drive (SSD) for storage. Most SSDs are faster than hard drives, which enables Google to squeeze the boot time as low as possible. SSDs are also much more expensive, but that's mitigated by the fact that Chrome OS is designed to operate in as little storage space as possible – we think you might be able to buy a Chrome OS netbook with just 1GB of storage. Chrome OS is the fastest-booting Linux distro around, excluding ones that fire up the kernel and nothing else. Even the super-light xPUD is slower. Part of this is due to its focus on netbooks, which don't have optical drives or older hardware such as serial ports. Chrome OS doesn't bother checking if the majority of devices exist. Another key to its speed is that Google has written its own BIOS, which is the part of the system you see before Linux loads. BIOSes have been obsolete for some years now, but the need for backwards compatibility keeps them in place. Google has no interest in this, so a Chrome OS device is geared towards getting control to Linux as soon as possible. We don't like having to type the "OS" in Chrome OS every time, but it's necessary because Google's web browser is just called Chrome, and it's set the web browser world on fire with its incredible speed, powerful features and slimline design. 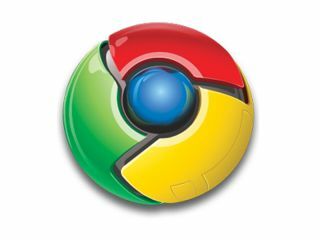 Chrome already has more than 40 million users worldwide, and that's growing fast. Chrome OS is little more than a full-screen version of the Chrome browser. Everything you interact with is done via a tab in that web browser, so there's no way to move windows around, no way to maximise or minimise stuff, no (obvious) way to install more software and, crucially, no way to break things through customisation. The reason we put "obvious" in there is simple: Linux is Linux and a determined user can find their way to a command line and thus to freedom, but by default Chrome OS is locked-down tighter than tight. Chrome OS comes with a wide range of Linux programs, but only the ones that work out of sight and are needed to make the system run. There's no Firefox, no OpenOffice.org, no Gnome, KDE, Gimp or any of the other Linux software we're used to. Instead, there's the Chrome web browser and Google's online services. Want to type documents? Use Google Documents in Chrome. Email? Gmail. Chat with friends? Google Talk. Share photos? Watch videos? Organise your diary? Picasa Web, YouTube and Google Calendar. Google wants you to do everything online using your browser and using its services. The problem of working with everything online is that internet access isn't as pervasive as some might need, and no one wants to find their files are hard to reach or, worse, unavailable. Google is tackling this using its Gears technology. This enables web apps to run offline in a local database, then automatically be resynchronised with the online version when the connection resumes. Data is cached locally in case the user needs to do something without the internet – and everything is also stored online so that if the user breaks their netbook, they can get another one, sign in to Google and pick up where they left off. Chrome OS is about a year away from release, so what we have today is likely to change a lot. But we don't think we'll see too many alterations in the user interface area – Chrome evolves independently of Chrome OS, and the rest of the UI experience is what Google has now in Gmail and more. So, why is Chrome OS not launching now? Google wants to certify hardware, which means it needs its partners to be ready or the roll-out will be messy. We think it'll focus on pushing down boot speed even further, then polishing the boot experience so it's as smooth as possible. After the initial release late next year, we expect to see work going into bringing Chrome OS and Google Android closer together.